5 Which are the Best Binoculars for Target Shooting? 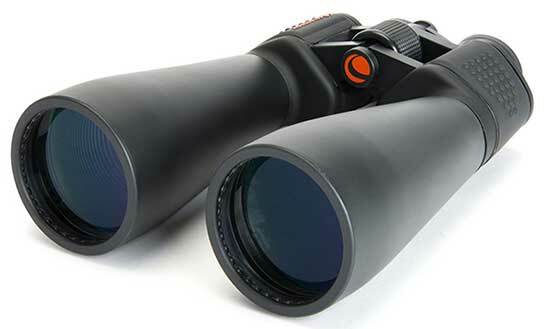 Binoculars can be a great alternative to spotting scopes for use at the shooting range. They're more affordable, don't require a tripod for use, and are generally lighter in weight while still providing the crisp and bright view you need to prove to your buddy that you did out shoot him. We've put together a list of the best binoculars for target shooting, focusing on performance and weight for key factors. 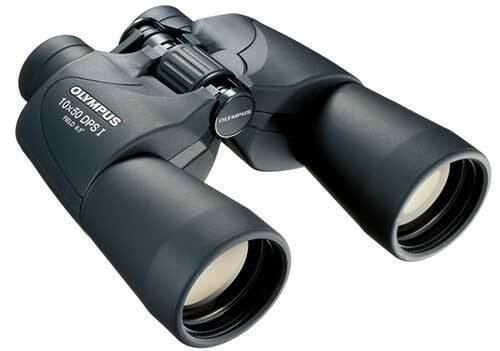 Our top pick is the Olympus Trooper DPS R Binoculars. Keep reading to find out why. These binoculars make our best binoculars for shooting targets with their just-right 10x magnification and large 50mm objective lenses. This provides plenty of power for closer viewing, such as with pistol shooting, or for long range shooting, like when you're showing off your sharpshooting skills with your friends. 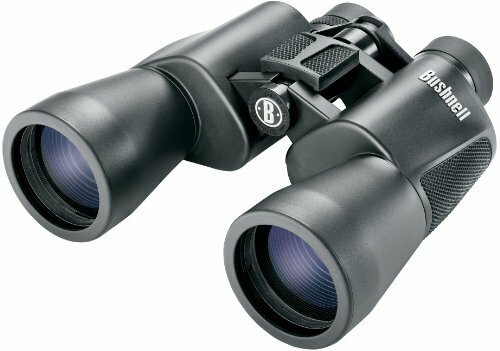 These binoculars feature an anti-reflective lens coating that helps to produce brighter images even in low light. They also offer additional protection for your eyes on sunny days with UV protection -a useful and peculiarly unique feature. The large, center focus knob allows for easier focusing, letting you zoom in on your target immediately. These binoculars also have a built-in dioptric correction that automatically adjusts to individual eyesight, eliminating the need to adjust each eyepiece individually or close one eye just to be able to see clearly. They weigh 1.9 pounds and come with a neck strap and case. See more of the Olympus Trooper... Click here. These binoculars have a magnification of 20x to provide you plenty of power to see the target clearly even when distant shooting. The 50mm objective lens let in a lot of light to provide you with a bright image with crisp details so you can see exactly where you shot. These binoculars also feature multi-coated optics to further enhance the light transmission to provide you with an image with bright color contrast. The patented 1-touch Insta-Focus system allows you to instantly focus on targets with just a touch of a finger. These are one of the best binoculars for shooting targets with its BK-7 prism glass. The close focus of 45 feet is good for short distance pistol shooting while the FOV (field of view) of 170 feet at a thousand yards will allow you to see where you hit the target with long distance shooting. These binoculars weigh 1.9 pounds and come with a neck strap, lens covers, and a carrying case. These are what is commonly referred to as "giant binoculars." They feature an extra-large objective lens of 70mm that allows these binoculars to be used in low light conditions, as well as at night to observe the stars and take a more detailed look at the moon. This makes them some of the best binoculars for target shooting as the large objective lens and the 15x magnification will provide you with a clear image when the light starts to fail. The multi-coated optics and BK-4 prism only add to the high performance you can expect as these binoculars are perfect for spotting exactly where on the target you hit when sighting in your rifle for those really long shots. As these are giant binoculars, they are a bit heavier than the others on this list, coming in at 3.3 pounds. However, the amazing image quality and ability to see clearly at a distance surpass the weight. Unlike some giant binoculars, these can be used by hand comfortably, although they can be connected to a tripod for extended use. S﻿ee more of these Celestron Binoculars... Click here. These binoculars were designed with ergonomics and comfort in mind, and it shows in the light weight of only 1.7 pounds. The 8x magnification is lower than some of the other binoculars in this list, yet this is plenty of power to see at a distance and offers greater versatility in close focus viewing. The smaller 42mm objective lenses contribute to these binoculars lighter weight. 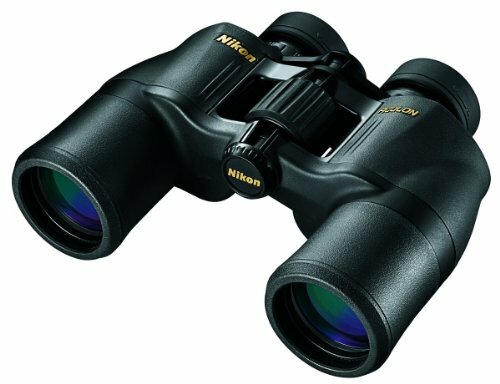 However, with Nikon's signature optics, these binoculars will still deliver bright images with crisp outlines and high color contrast. The lenses are aspherical and multi-coated to provide clear and bright images in most lighting conditions. The lenses are also made of eco-glass that offers durability to an already ruggedly designed pair of binoculars. A large center focus knob allows for fast and easy focusing. Which are the Best Binoculars for Target Shooting? When looking for the best binoculars for target shooting, you'll need a rugged pair of versatile optics that allow for both close focusing and long distance viewing. This is key to cover the whole spectrum of possibilities: from shooting handguns to firing your rifle. 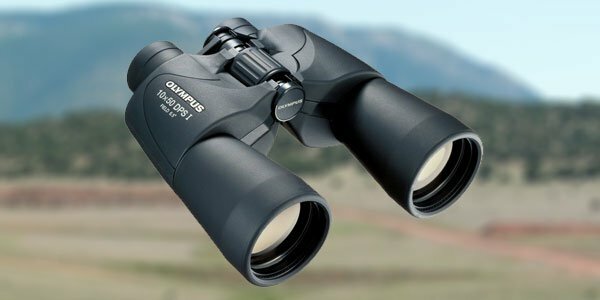 Our choice for the best of the best is the O﻿﻿lympus Trooper ﻿﻿DPS R Binocular﻿﻿s. These are very thoughtfully designed binoculars with a few features you just don't see very often. They have all the power you need when shooting targets, and they're light enough for extended use. They're also versatile enough to be used for hunting, sporting events, or birding. Click here to get the Olympus Trooper on Amazon.